How Many Work Credits Do I Need to Get Social Security Disability in Ohio and Kentucky? Today, many people are unfamiliar with work credits requirements. Further, some people have not even heard of the term. This blog is designed to make you to have a simple understanding of social security work credits and the importance of them. 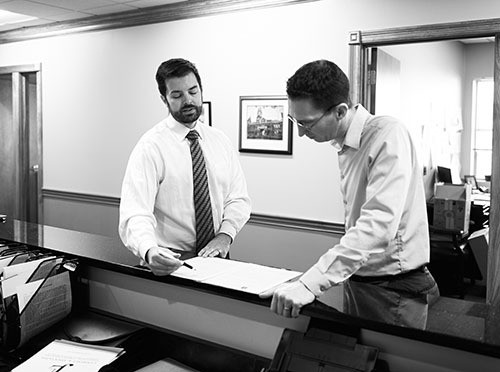 Here at Lawrence & Associates, we encourage you to call us for a free consultation! We are qualified representatives who can help determine whether you qualify for Social Security Disability. Let’s jump into Social Security benefits and what you should know about them. The Social Security Administration refers to these work credits as the “building blocks” which Social Security uses to determine whether you have worked long enough to qualify for benefits. Work credits are earned throughout your employment history. You qualify for Social Security benefits by earning Social Security credits when you work in a job and pay Social Security taxes. Credits are based on your income during the year, no matter when you did the actual work. When an individual works they can earn up to 4 credits in a year. It is important to keep in mind that it does not matter if you earn $5,000 or $500,000 in a given year, you can only earn up to four credits in a given year. Currently, a worker must earn $1,320 to earn one work credit. This figure gets adjusted based on inflation every year. Your average earnings during your working years determine how much your monthly payment will be. How Many Credits Do You Need to Be Eligible in the Cincinnati area? The number of work credits needed for disability benefits depends on your age when you become disabled. In general, you need 40 credits, with 20 earned in the last 10 years ending with the year you become disabled. However, younger workers can qualify with fewer credits. For example, if you are 24 or younger, you may qualify if you have six credits earned in the three-year period ending when your disability starts. If you are between the age of 24 to 31, you may qualify if you have credit for working half the time between age 21 and the time you become disabled. For example, if you become disabled at age 27, you would need credit for 3 years of work (12 credits) out of the past 6 years (between ages 21 and 27). For individuals 31 through 42, the number of credits needed for disability benefits is 20. In this video, Social Security Attorney Danielle Lawrence, explains to be considered for Social Security Disability at the age of 46, you will need 24 work credits in the last 10 years. On the other hand, if an individual is 58, 36 work credits are needed in the last 10 years in order to qualify. Social Security will use those work credits from the 10 years prior to disability to determine whether an individual may receive Social Security disability benefits. A common misconception among many people is that Social Security Disability is the same as Social Security Retirement. People may think if they are working hard and paying into their retirement, then they can easily qualify for Social Security benefits. However, it is important to know that is not the case. Are you an individual who is self-employed? If so, then you earn Social Security credits the same way employees do (one credit for each $1,320 in net earnings, and no more than four credits per year). There are special rules that apply if you earn less than $400. It is important to note, if you are in the military then you also earn credits the same way civilian employees do. Additional earnings may also be considered based on certain conditions. Each year, your employer sends a copy of your W-2 (Wage and Tax Statement) to Social Security. Social Security Administration compares your name and Social Security number on the W-2 with their records. Your earnings shown on the W-2 are recorded on your lifelong earnings record. Your lifelong earnings record is what Social Security uses to determine your future benefits and the benefits amount. Your name and Social Security number on your Social Security card must agree with the information on your employer’s payroll records and W-2. It is important to protect your benefits by ensuring that your employer has the correct social security number and name. Why Are Work Credits Important to Social Security Disability Determinations in the Cincinnati Area? According to the Social Security Administration, in 2017, about 173 million people worked and paid Social Security taxes about 62 million people received monthly Social Security benefits. Social Security reaches almost every family, and at some point, impacts the lives of nearly all Americans. Social Security Attorney Kelsey Westermeyer explains the importance of work credits. She states, “If you do not have enough credits, you cannot get disability.” If you do not have enough credits, then Social Security Administration does not have to pay you monthly checks. A statement from your doctor saying you are disabled is not enough to qualify for Social Security disability benefits. In sum, The Social Security Administration uses work credits to determine whether an individual qualifies for Social Security Disability benefits. An individual may earn a maximum of four work credits a year. Today, a worker must earn $1,320 to earn one work credit. As an individual gets older the more work credits are needed to qualify for benefits. If you are unsure about the amount of credits you have earned then it is important to contact a qualified representative. Here at Lawrence & Associates, we are strong advocates for your rights in the Social Security system. We recognize your hard work and efforts and we are here to help you recover your benefits you have worked so hard for. We offer a free, confidential consultation in order to determine whether you qualify for Social Security Disability. Call today! We’re Working Hard for the Working Class, and we want to help you.